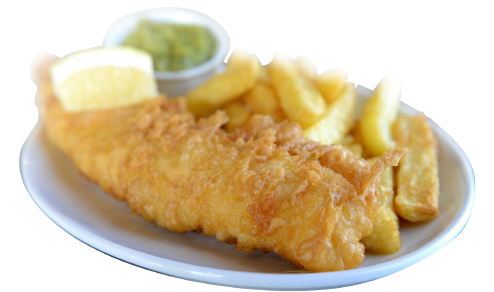 Whether you crave cod or pine for peas, we aim to offer you the very best fish and chips every time! What's more we know what makes great tasting fish and chips because our family has been serving the highest quality fish and chips for over 40 years. Whether you're joining us for a meal in one of our welcoming restaurants or popping by to pick up the nation's favourite takeaway, we aim to give you the best possible service and the tastiest fish and chips. For over 40 years we've been using the same traditional home-made batter with the freshest fish. Thanks to the latest technology our energy-efficient frying ranges mean we can fry effectively, without compromising on taste. Our trained and dedicated team of friers look at everything from the texture of the fish batter to the width of the chips as this helps your food absorb less fat and is served light and crispy, whether you enjoy them with curry sauce or mushy peas! All our restaurants and takeaways meet the highest five-star food hygiene rating and have been accredited by the National Federation of Fish Friers with The Quality Award. Disabled access and car parking is available at all our restaurants and coach trips are also welcome. All our restaurants can host parties on request - please call us. We pride ourselves on serving fish that is sourced from sustainable fishing grounds and frozen at sea within six hours of being caught. We work hard to trace every piece of fish we serve, down to the vessel that it was caught in. It wouldn't be the perfect fish and chips without the perfect chips. Our locally-sourced potatoes mean we can prepare real chip shop chips to perfectly complement your fish. Our family has always been passionate about good quality food. Before David opened the family's very first chip shop in Huddersfield he would deliver the best locally grown potatoes to chippies across the town for frying. But when the opportunity to open his own fish and chip takeaway arrived, David knew the time was right to stop supplying and start frying. Using his experience to source only the best local potatoes for the perfect chips and freshest fish caught from the docks in Hull, David, together with wife Freda, opened the first Elite in 1972. After spending years helping out behind the frying ranges, chip off the old block Adrian followed in their footsteps, aged only 15, and a second Elite fish and chip takeaway soon followed. Sixteen years later our drive to offer customers something more than takeaway fish and chip meals steered us south, to Lincolnshire. 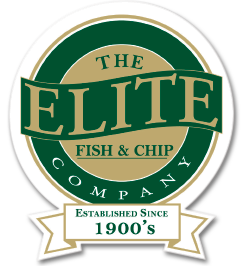 In 1988 the first Elite Fish and Chip Company restaurant and takeaway opened in Ruskington village and it won the National Fish and Chip of the Year Award in 1992. Three years later we opened another Elite in the historic cathedral city of Lincoln offering seating for over 100 guests and the same great takeaway service. Third generation fryer Rachel, the 2015 Drywite Young Fish Frier of the Year, kept the family business growing further by opening Elite's third restaurant and takeaway in the market town of Sleaford in 2012. Over 40 years later we're proud to be using the very same traditional home-made batter from Elite's founding takeaway in the 1970s and will continue to for years to come.